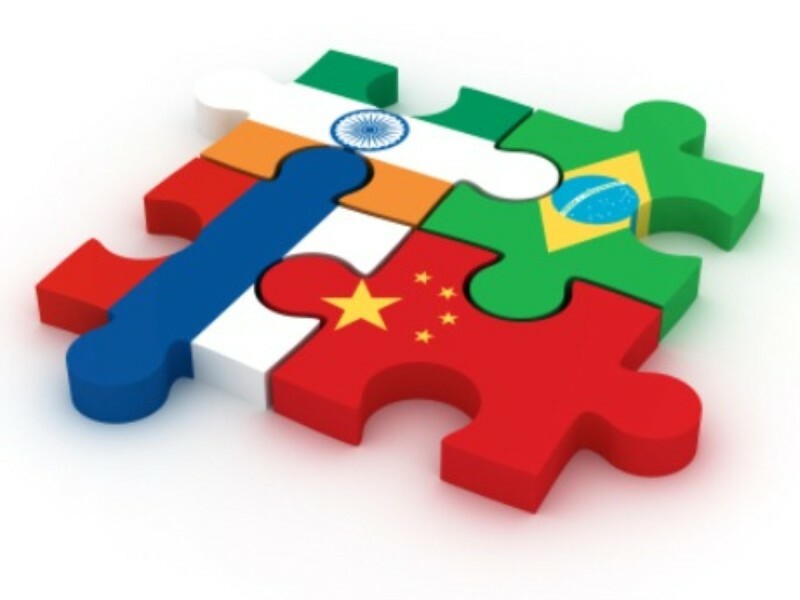 The nations of BRICS met this week to establish a development bank which many believe is to compete with the already established financial systems like World bank and International Monetary Fund. There are also talks that Brazil, Russia, India, China and South Africa will soon be joined by Indonesia, which also has a strong growing economy. According to McKinsey & Co. , Indonesia will be the seventh largest economy in the world. According to Trade Minister Gita Wirjawan, Indonesia and BRICS together contributed more than 20% to the world economy and hence played an important role in the economic slowdown.Inclusion of Indonesia would mean that the world will rely less on the developed economies like USA and UK. This could also be something like what Euro Zones had done. 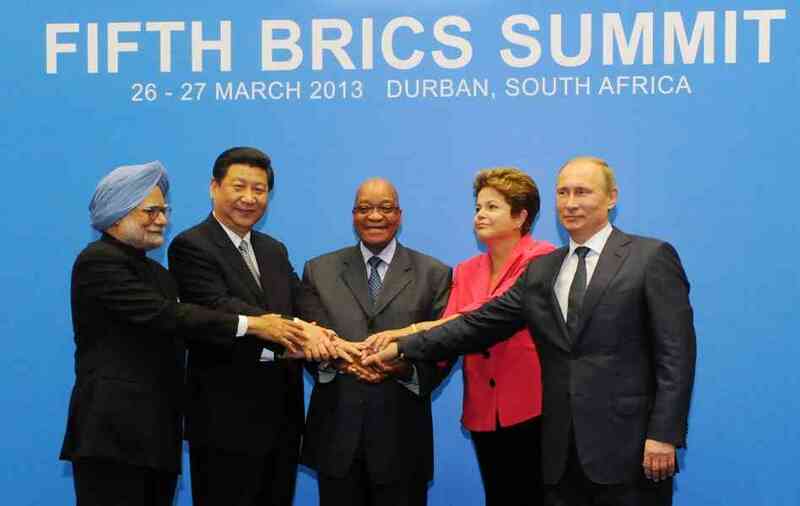 However, BRICS is by far very different since they share nothing in common . While China is by far the largest economy in the group, India still struggles with a high inflation and trade deficits.All the nations are run by different policies that range from largely state controlled markets to free markets. Many have criticized that the common development bank misses out on a common agenda and lacks a common ideology required to compete with the likes of financial giants like IMF. China for long has stressed on a fact that the world economy is too American and European focussed and a strong reliance on such developed countries have led to a global recession. Charles Robertson, an emerging market economist at Renaissance Capital ,London says that it would take years for the BRICS version to “create a staff of economists and experience professionals” who could manage such bailouts.The meeting in Durban saw BRICS establishing a system that would bypass the dollar and other currencies.A development bank will be formed to create infrastructure funding worth $4.5trillion which is a challenge to the western projects. The only unresolved matters are the location of the headquarters of the bank and the seed capital required for the operations and start-up of the development bank.Analysts believe that the bank will be dominated largely by China since it is the world’s second largest economy and twenty times larger than South Africa’s and four times larger than Russia’s and India’s.With diversified interests and wide geographical disparities, it would be interesting to watch the BRICS share and follow goals that are set to compete with the objectives of World Bank. However, in this case the common goals seem a bit hazy and the reason for coming together to compete with the likes of World Bank and IMF seem more clear and strong.With different kinds of economies, political agendas,foreign policy aims and contrast forms of government, BRICS struggles to agree on many issues like overhauling institutions. Not only this, but also they hardly invest in one another and continue to give preferences to their neighboring countries and the developed economies. However, Goldman Sachs economist, Jim O’ Neill, the man who coined BRICS in 2001 has other views regarding the BRICS. He says that BRICS is still the next big thing at least in the next 10 years and by 2035 the BRICS nations will be as big as the industrialized nations of G7.Whether these nations are together for a common purpose to fight against recession or for selfish reasons like dumping cheap goods in the member countries still remains a big question and definitely worth the wait!